Metapolitics has two branches: promoting alternative ideas and building alternative communities. As Iannone puts it, “to generate counter information and to occupy the territory.” Like the French Identitarians, CasaPound is rooted in deep metapolitical thinking, but it presents a minimalistic ideological profile to the world. But community organizing requires more than good ideas. CasaPound has grown and flourished because they have leadership that commands commitment and the business and managerial skills necessary to create an array of different enterprises — all things that North American New Rightists must learn to mobilize. Liddell: CasaPound is still not so well known in the English-speaking countries, even by those active in right wing politics. Could you introduce your movement to our readers and describe it? How big is CasaPound? How many members and how much support do you have? Iannone: First of all, linking CasaPound to the right wing is a bit restrictive. CasaPound Italia is a political movement organized as an association for social promotion. It starts from the right and goes through the entire political panorama. Right or left are two old visions of politics, we need to give birth to a new synthesis. CPI has more than 4000 members all over Italy but the supports and sympathy we gain days after days is far larger… Just think that the Blocco Studentesco, our student organization, obtained 11,000 votes in Rome and the Province for the students’ elections. Liddell: Please tell us a little about yourself personally and your background. Iannone: I was born in August 1973 and started political activism at 14 in the Fronte della Gioventù (Youth Front) in Acca Larenzia, one of Rome’s downtown neighborhood. Since then I have never stopped to be part of this world. Journalist since 1999, I worked for TV and radio stations and also wrote for national newspapers on international conflicts, literature, cinema and music. Liddell: Why did you become politically active? Was there some event, action, or person that triggered your political activism? Iannone: To tell the truth, there is not one thing in particular. I think it was just fate. Liddell: What are main policies and objectives of CasaPound, both short-term and long-term? Iannone: CPI works on everything that concerns the life of our nation: from sport to solidarity, culture and of course politics. For sports, we have a soccer teams and academy, we do hockey, rugby, skydiving, boxing, Brazilian jiu-jitsu, scuba diving, hiking groups, caving, climbing. For solidarity, we have first aid teams, we do fundraising activities for the Karen people, and we provide help to orphans and single-mums. A phone line called “Dillo to CasaPound” (tell it to CasaPound) is active 24/7 to give free advises on legal and tax issues. On the cultural ground, we host authors and organize book presentations; we have an artist club, a theater school, free guitar, bass guitar and drum lessons, we created an artistic trend called Turbodinamismo, we have a publishing company, dozens of bookshops and websites. Politically we propose various laws like the Mutuo sociale (social mortgage), Tempo di essere Madri (Time to be a mother) or against water privatization and so many more. Speaking about CPI is never easy because all these things are CASAPOUND. All of these represent our challenges and projects for now and the millennium. Liddell: Do you have any significant links with groups or parties outside Italy? Liddell: The first thing that strikes people in the English-speaking countries is the name of your group, which, of course, refers to the famous American poet Ezra Pound. How important are Pound’s ideas to your movement? Why have you chosen to include his name in your movement’s title? 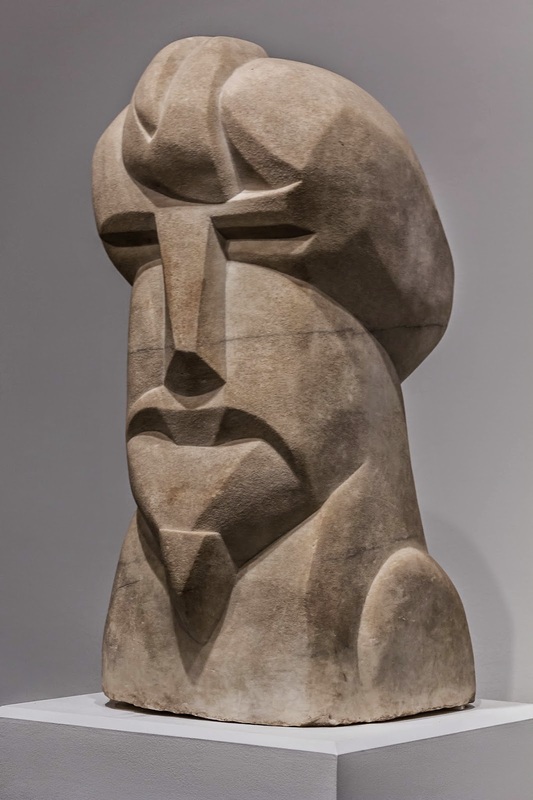 Iannone: Ezra Pound was a poet, an economist and an artist. Ezra Pound was a revolutionary and a fascist. Ezra Pound had to suffer for his ideas, he was sent to jail for ten years to make him stop speaking. We see in Ezra Pound a free man that paid for his ideas; he is a symbol of the “democratic views” of the winners. Liddell: Ezra Pound is also a name routinely associated with Anti-Semitism. Some will automatically see the invocation of his name as a rallying cry for Anti-Semitism. Could you clarify CasaPound’s position with regard to the Jews and Israel? Iannone: To associate Ezra Pound and anti-Semitism is an absolute twist. It is the same for CasaPound, it has no sense. It is true that we are against Israel politics towards Palestinians, against the bombing of civilians, and the embargo on international help. To say so does not mean to be anti-Semitic, it means analyzing facts. Liddell: You are also known for anti-usury rhetoric. Most sensible people oppose excessive usury, but are you opposed to all usury? If not, where does constructive credit end and destructive usury begin? Iannone: Usury is the worst thing. It is the head of the octopus. It is it that initiated the wars that are starting around the Mediterranean Sea, which generates illegal immigration and destruction. It is it which creates unemployment, debts. It is it that threatens the future of our children, which make them weak and ready for the massacre. 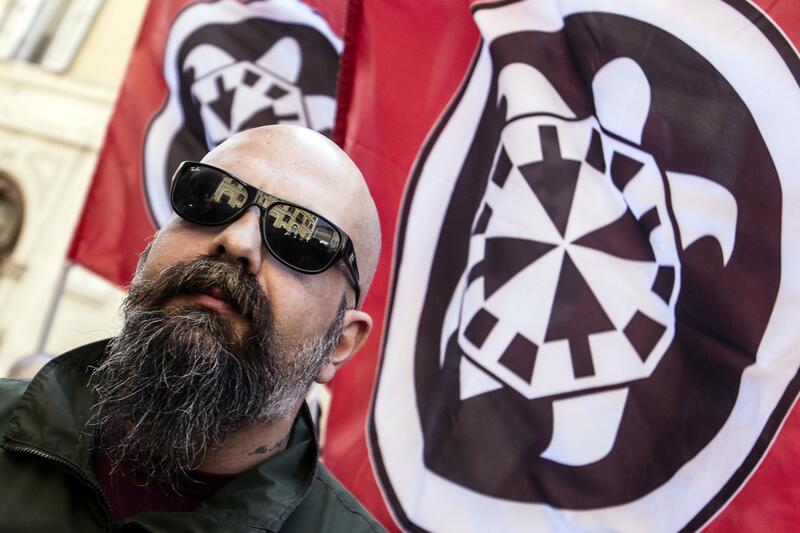 Liddell: My impression of CasaPound is that it is very much a grass roots organization that operates successfully in the “arena of street politics,” with marches, parades and events that build identity and community, rather than through conventional elections. In Anglo countries right-wing street politics backfired in the past, allowing the mainstream media to paint very negative images of the National Front in the 1970s and the BNP later. Because of this the BNP now avoids the street as a political arena. Your group’s success suggests that the street is a much more acceptable political arena for the right in Italy. Why do you think this is? What are the differences that make this possible? Iannone: First of all, England was never a fascist state. This creates a big cultural difference. Also, as I said before CPI works on dozens of projects and with various methods: from conferences to demonstrations, distribution of information, posters. The important thing is to generate counter information and to occupy the territory. It is fundamental to create a web of supporters other than focusing on elections. For election, you are in competition with heavily financed groups and with only one or two persons elected, you can’t change anything. Politics for us is a community. It is a challenge, it is an affirmation. For us, politics is to try to be better every day. That is why we say that if we don’t see you, it is because you are not there. That is why we are in the streets, on computers, in bookshops, in schools, in universities, in gymnasium, at the top of mountains or in the newsstands. That is why we are in culture, social work and sport. That is a constant work. Liddell: Because of the differences between Britain and Italy do you think it is better for the right-wing in the UK to avoid street politics? In this context, what is your view of the English Defence League, a group that obviously sees the street as its arena or forum? Iannone: I think that the EDL is going on the ground of the clash of civilization. For me and CasaPound, this provokes a kind of disgust. If the British right is reduced to this, then let’s speak about soccer, it will be better.